The Anne Frank Center USA is Proud to Present a Special Screening of "The Search for the White Rose"
Join us Wednesday, February 18 from 6:30-8:30 for a special screening of Peter Logue's short film about Sophie and Hans Scholl, the leaders of the White Rose resistance movement against the Nazis. 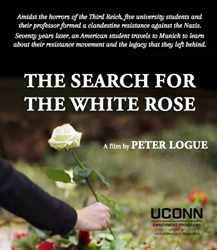 To mark the 72nd anniversary of the arrests and subsequent executions of Sophie and Hans Scholl, The Anne Frank Center USA is proud to present Peter Logue’s short film about the White Rose resistance movement. 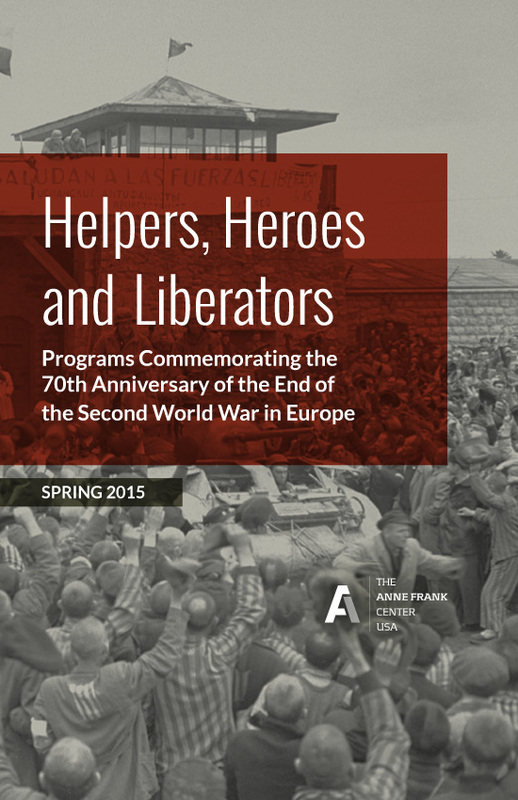 The event is part of our "Helpers, Heroes and Liberators" season commemorating the 70th anniversary of the end of World War II in Europe. In 1942, amidst inexplicable evil and destruction, a small group of University of Munich students and one professor found themselves morally incapable of remaining silent. They formed a clandestine resistance movement that urged their countrymen to listen to their conscience and stand up against the atrocities being committed by the Third Reich. Through the publication and distribution of six anti-Nazi leaflets, they worked tirelessly, at the risk of their own lives, to have their message reach every corner of their country. The White Rose implored Germans to consider the "dimensions of shame that will befall us and our children when one day the veil has fallen from our eyes and the most horrible of crimes - crimes that infinitely outdistance every human measure - reach the light of day." The six members of the White Rose movement were arrested by the Gestapo, tried for treason and executed in 1943. This short documentary focuses on retelling the story of the small group of German students who formed this resistance against the Nazis. Through extensive interviews with scholars and current University of Munich students, "The Search for the White Rose" explores the legacy of the movement for a new generation of German students, asking how such stories of resistance have helped shape their sense of German identity. Followed by a Q&A with the film maker.